And Then God Said, Let There Be Greece. The rocky islands of this archipelago were formed thousands of years ago after one of the largest volcanic eruptions in history. In the ensuing centuries, Mykonos played a vital role in the development of Greek and Minoan culture. Today, with its breathtaking scenery and charming whitewashed villages, it is a naturally romantic vacation mecca. Modern attractions include a burgeoning wine industry, excellent restaurants, and water sports, besides a world renowned vibrant party vibe, all set against the shimmering, turquoise backdrop of the Aegean Sea. Mykonos has attracted an eclectic crowd over the years, from bohemian backpackers to Jackie O, but the 17-mile by 10-mile island is well and truly gentrified now, and still as beautiful as ever with luxury villas to match. If you’re spending several days in Greece, consider visiting other islands before or after staying in Mykonos. Santorini and Crete are two popular destinations. Private boats and public ferries can whisk you around the Aegean Sea. 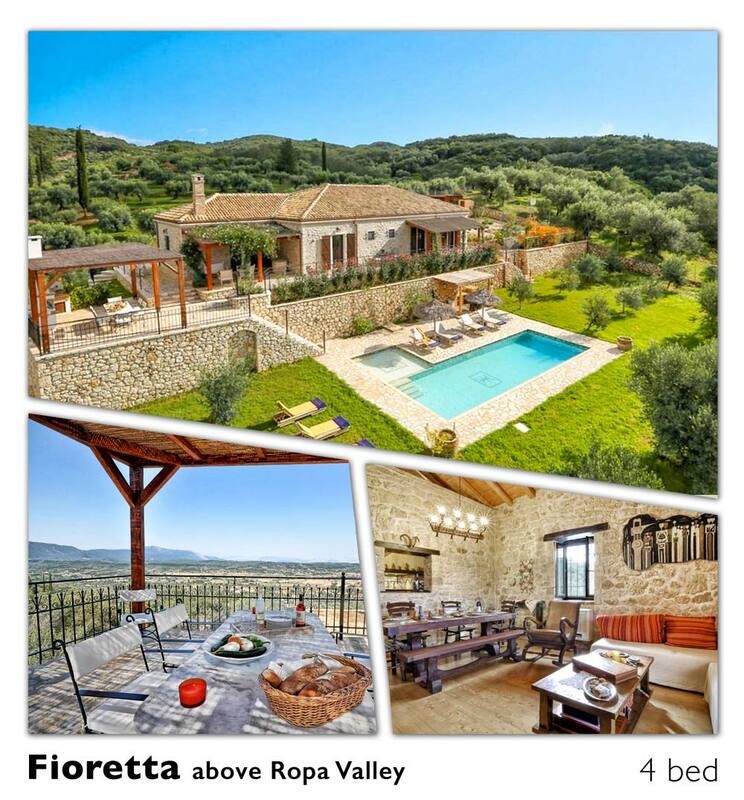 Whilst here, get a feel for the island’s history while exploring the excavated ruins or Sample the vino at an established Winery or understand olive oil at a production plant on a guided tour. It’s the stuff postcards are literally made of. Beyond simply nightclubs and the hedonistic party vibe. The Greek island of Mykonos has, just like Ibiza, a calmer family-friendly side. Head away from the main towns and you'll find another side to this beautiful island on a luxury villa holiday. Ancient culture, sleepy villages and secluded beaches can be found if partying is not your thing. So if you are planning a family holiday with the children or a fun-packed trip with a group of friends, our lovely luxury villas in Mykonos will tick all the boxes. A spot of leisurely shopping gets no better than this on a luxury villa holiday. For a more cultural gad about town, head for the old capital of Ano Mera to soak up some ancient Mykonian culture in its beautiful chapel and market square festooned with bougainvilleas. Indulge yourself in any of our villas below, all of them are beach fronts with air con bedrooms, private swimming pools & cooks on call. The old town will leave you spoiled for choice. Lose yourself in the rabbit warren of tiny cobbled streets and alleyways in the old town. There’s a plethora of family-run restaurants and tavernas that you’ll never tire of exploring whilst on a luxury villa holiday in Mykonos. You can’t go far wrong with Uno Con Carne in Mykonos town. Opened as a steakhouse a few years ago, this Mykonos staple is now an oyster bar, too. Fresh seafood and Black Angus beef, all set in an atmospheric former art deco open-air cinema – what’s not to like? 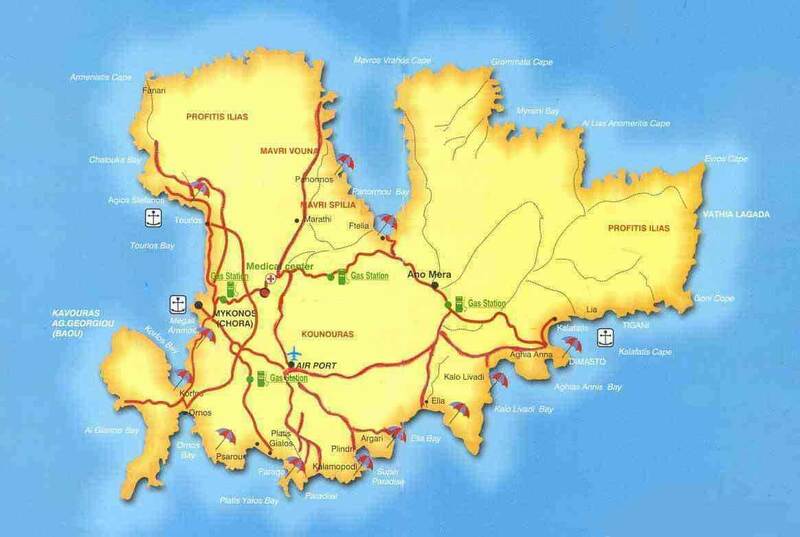 To see the island in full swing, visit in July or August but, be warned, it will be lively! We think the best time to go is either just before or just after the main tourist season, either in May or June when the air is still fresh, or in September as the bulk of the tourists leave, but the sea is still warm enough to swim in all day and dusk. Spending the day at Agios Sostis, a simply stunning beach in the north west of the island. Paddle in the clear waters and explore the tiny chapel, then eat barbecued seafood in local institution, Kiki’s restaurant, while watching the sun set on a very very blue ocean. Super glam and romantic, Mykonos is buzzing with culture and excitement. 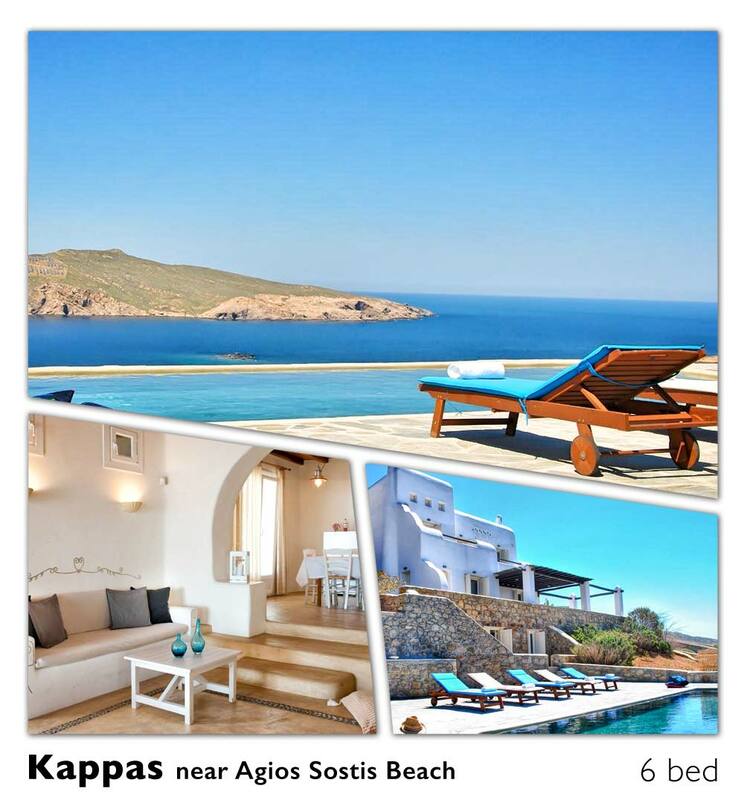 Located in the Aegean Sea, there’s something special about this stylish island. The crowd is cosmopolitan and hip. People watching is a must do activity, as are cocktails at the famous Martini Bar in Mykonos Town. Sun-worshippers can find their happy place at one of the huge range of beaches, which include the beautiful Paraga Beach and Paradise Beach - home to the renowned Jackie O’ venue which offers a beach club, restaurant and bar. For sushi with a can’t-be-beaten beachfront view, try Bonatsa, not far from Paraga Beach. Mykonos Town itself offers a smorgasbord of culinary delights. The Nobu venue, Matsuhisa at the Belvedere Hotel offers Japanese fusion dishes beloved of A-listers. For a more laid-back meal, try Sea Satin Market, which can be found directly beneath the famous windmills. Here you can choose your own steak or seafood and watch it being grilled to perfection before you tuck in. 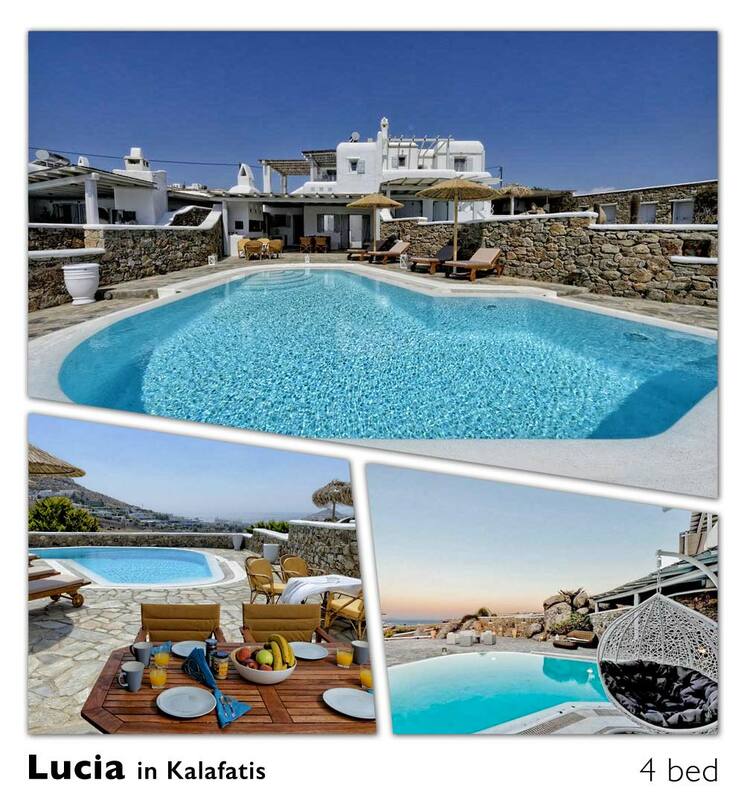 If you prefer to stay closer to home, your luxury villa in Mykonos will provide the ideal location. Whether you choose a property with a sea view, overlooking the shimmering Aegean Sea, or a luxury villa near Mykonos Town, you’ll be able to experience the best of what this intriguing island has to offer. Breakfast on the terrace, overlooking the ocean, can be followed by a languorous dip in a stunning pool. Alfresco lunches and sundowners are the order of the day on this laid back island before a sumptuous feast around a beautifully lit dining table. 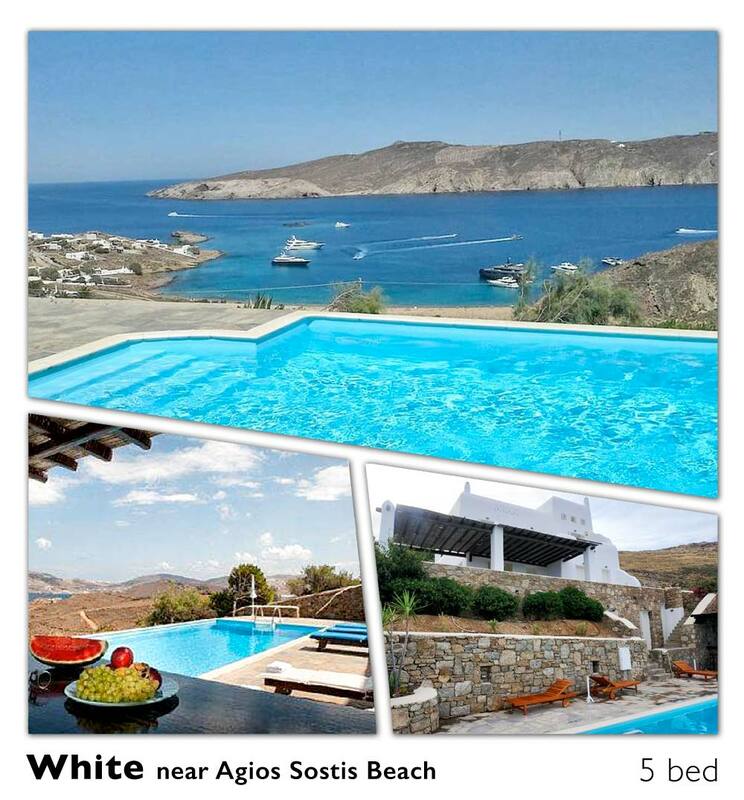 Nowhere does laid back style quite like Mykonos so let your cares slip away and just relax. The warmest weather in Mykonos (and all the Greek islands) is between June and September when it’s sunny, hot, and the water is perfect for swimming. Water temperature heats throughout the summer months and is warmest in August and early September. Since most people go to Mykonos for the beaches (and related nightlife) it’s pretty quiet here in May and October though the weather is still very nice. The are daily direct flights from London or you can fly into Athens and take the ferry from Pireas, the main port in Athens. The fast ferry takes 3 hours.